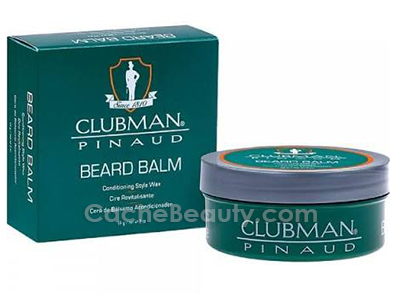 Beard Balm * 2 oz. 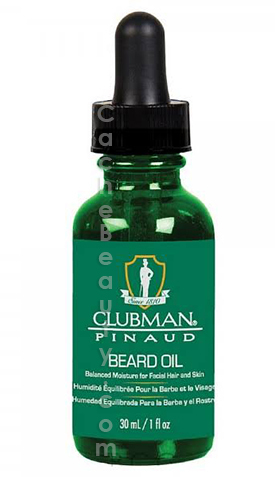 Clubman Pinaud Powder has been specifically formulated to help control moisture to keep you cool, calm and irritation free all day. 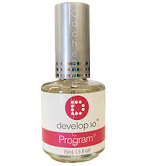 A unique blend of Cornstarch, Zinc Oxide and Kaolin keeps your skin feeling dry and smooth. 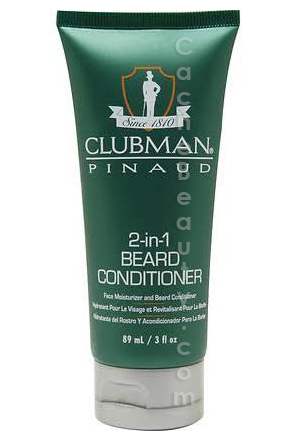 Combined with the classic Clubman Scent use it after a shower or bath to feel fresh and odor free all day. * Covers Gray or Blends in Faded or Streaked Hair. * No Dripping or Mess. 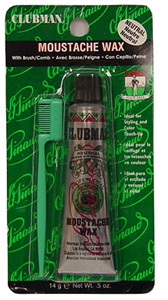 * Ideal for Moustache, Beard, Sideburns and Eyebrows. 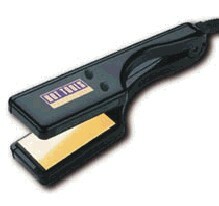 * Ideal for styling and color touch-up. 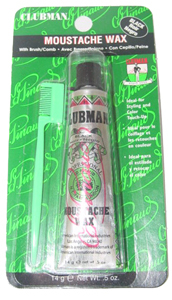 * Moustache Wax with Brush/Comb. * 14 g Net Wt. 0.5 oz. As refreshing as an island breeze. Formulated with a unique blend of Essence of Bay Tree and Exotic Spices. 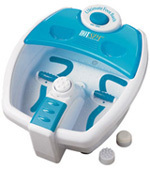 Instantly cools, tones, and refreshes the skin. Splash free all over the body. 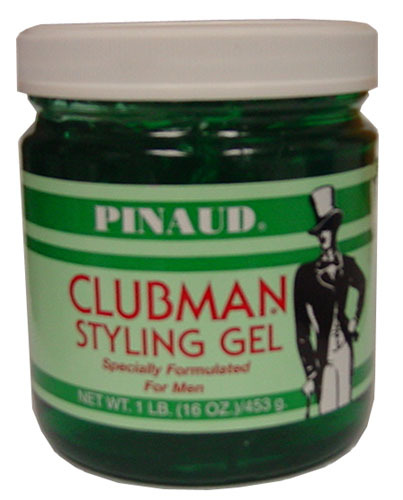 Clubman Virgin Island Bay Rum * 6 oz. 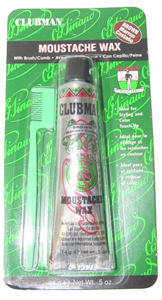 Clubman After Shave Lotion 6 oz. 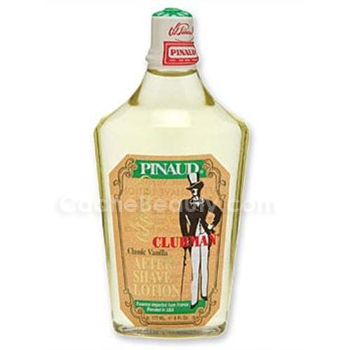 Suave, masculine fragrance imported from France, but blended in the U.S.A.
Clubman After Shave Lotion * 6 oz.